A group of influential Yemenis gathered in Finland in mid-January to look at the long-term future of the war-torn country. The three-day workshop enabled the participants to create a shared understanding of the main conflict drivers blocking sustainable peace in Yemen. Civil society activist Somaya Al-Thawr said that the workshop allowed different segments of the Yemeni society to express their opinions. The war in Yemen has dragged on into its fourth year. Current international efforts have focused on confidence building measures and partial ceasefire agreements to ease the world’s largest humanitarian crisis, and to lay the foundation for further negotiation on a political framework. There is, however, also a need to look at the longer-term vision for the country that goes beyond an immediate political settlement. Without such any peace agreement will remain fragile. CMI and its Yemeni partner DeepRoot Consulting organized a workshop in Helsinki on 10−12 January 2019 to assist Yemenis from diverse backgrounds to jointly identify and analyze the main elements for sustainable peace. The workshop brought around the same table 16 influential Yemenis from key segments of society. The participants included politicians, civil society and media representatives, youth activists, technocrats and business figures, tribal leaders, as well as experts and academics from across the country. In the absence of a platform that would allow for inclusive dialogue on nationally critical questions, the workshop addressed the pressing need for an informal exchange that engages Yemenis from all segments of society. “This meeting was very important because it brought together a wide range of Yemenis from different groups. Everyone felt that they had the right to be at the table. 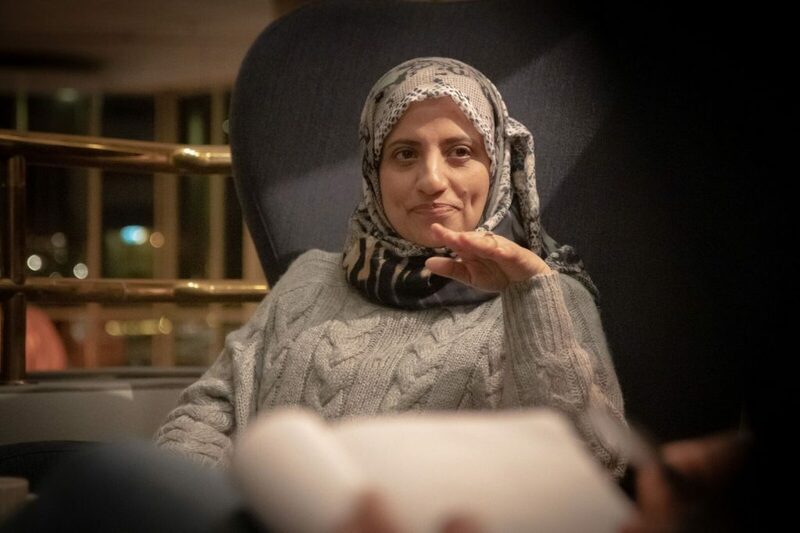 The meeting allowed us to express opinions that wouldn’t otherwise be taken into consideration”, said civil society activist Somaya Al-Thawr. According to the former minister of civil service, Hamoud Al-Soufi, the workshop’s analysis of the key conflict drivers should be capitalized on. The participants were jointly able to identify questions of national concern that need to be addressed to restore peace in Yemen. Using a specific methodology, four key conflict drivers were identified: insufficient or non-existent implementation of negotiated agreements; lack of agreement on the form of the state; diverse local conflict drivers; and external involvement in the Yemeni conflict. The dialogue helped the participants focus on the root causes of the conflict. The participants emphasized that many of the divisive issues have already been settled under various past agreements. “The problem lies in the implementation. If we were to open up the archive of all the agreements we have had until now, we would see that we wouldn’t actually need any new dialogue. 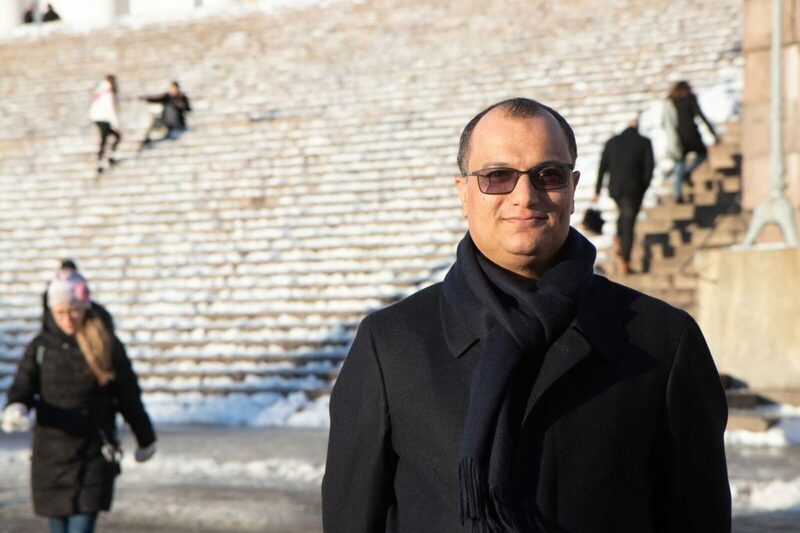 All we need is a real commitment to implement those agreements because they are the result of a lot of effort, support and expertise both locally and internationally”, said the former minister of civil service and a member of the GPC party, Hamoud Al-Soufi. Many of the agreements he referred to originate in the Yemeni National Dialogue Conference (NDC), held in 2013-2014. This provided Yemenis with a historic opportunity to address longstanding grievances. The conference recommended, for instance, the creation of a federal state and guaranteeing women the right to a 30 percent political representation. However, as is so often the case with peace processes, the NDC had its shortcomings. Some groups did not feel they were adequately represented, many structural sources of instability were not sufficiently addressed and there was a lack of visible measures to address the economic and security situation affecting people’s daily lives. The challenges with the NDC process gradually led to an increase in tensions between political groups. The situation soon deteriorated into full-scale war that drew in external actors. The war undermined the chances of implementing the reached agreements. The Houthi movement, which controls Sanaa and other large expanses of the country, rejected the 2014 decision to divide Yemen into six federal regions, as do many other Yemeni groups. The participants of the workshop called for further dialogue on the future regional setup of Yemen. “We support the creation of a federal state. 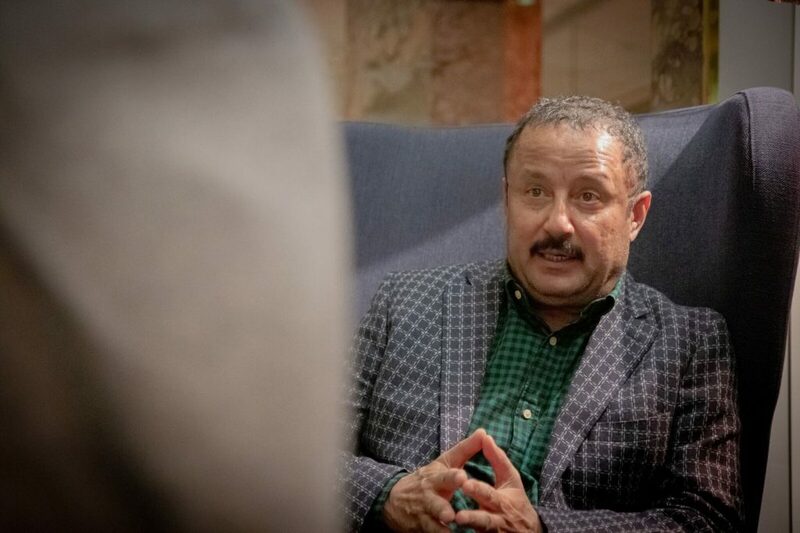 However, any federal system has to take into consideration economic, political and social criteria”, said senior Houthi representative Abdulmalek Al-Egri in Helsinki. During the workshop, Al-Egri highlighted the role of external powers as a key conflict driver. “Any foreign intervention has to stop. Yemenis are perfectly capable themselves in finding a settlement”, Al-Egri said. Senior Houthi representative Abdulmalek Al-Egri highlights external influence as a key conflict driver in Yemen. The participants felt that the workshop allowed different groups to look beyond their own interests and needs and focus on common concerns. According to Al-Thawr and Al-Soufi, the workshop’s analysis of the key conflict drivers should be capitalized on. “This workshop was an important brainstorming between Yemenis who were serious and committed in their participation. We tackled very important and vital issues”, Al-Soufi said. According to Al-Soufi, the meeting highlighted the need for facilitated dialogue between the various parties to the conflict. CMI’s work in Yemen is funded by the European Union.